Singer/songwriter Paul Robert (P.R.) Battle passed away on Dec. 29 at the age of 63 in Atlanta, GA. Born in Nashville, he began work in the ’70s, writing more than 200 songs published by Sony/ATV-Tree, the Universal Music Publishing Group, Irving Music, and others, according to his obituary. His own “Radio Loves You” was released on A&M Records. In lieu of flowers, his loved ones request contributions to the American Lung Association. A memorial service will be held Jan. 12 at 11:30 a.m. at St. Bartholomew’s Episcopal Church. Visitation will precede at 10:30. The mother of Sony/ATV Vice President of Creative Tom Luteran died on Dec. 18. Muriel Luteran was 89 year old and was buried Dec. 22 at Pleasant Hill Cemetery. In lieu of flowers, donations may be sent to the Chester First Aid Squad (300 Main St., Chester, NJ 07930). 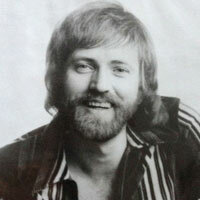 Singer/songwriter Sammy Johns died at the age of 66 on Jan. 4 at North Carolina’s Gaston Memorial Hospital. He wrote and recorded the ’75 hit “Chevy Vann,” and has writing credits on “Common Man” (John Conlee), “America” (Waylon Jennings), and “Desperado Love” (Conway Twitty). The funeral will be held at McLean’s Funeral Home in Belmont, NC on Wednesday (Jan. 9) at 2:00 p.m. Visitation will be Tuesday from 7:00 – 9:00 p.m.